It’s Monday morning again. Travel inspiration required to get through the day. This was one of those places you come across in your travels completely by chance, and you know you were meant to be there exactly at the time you stumbled upon it. 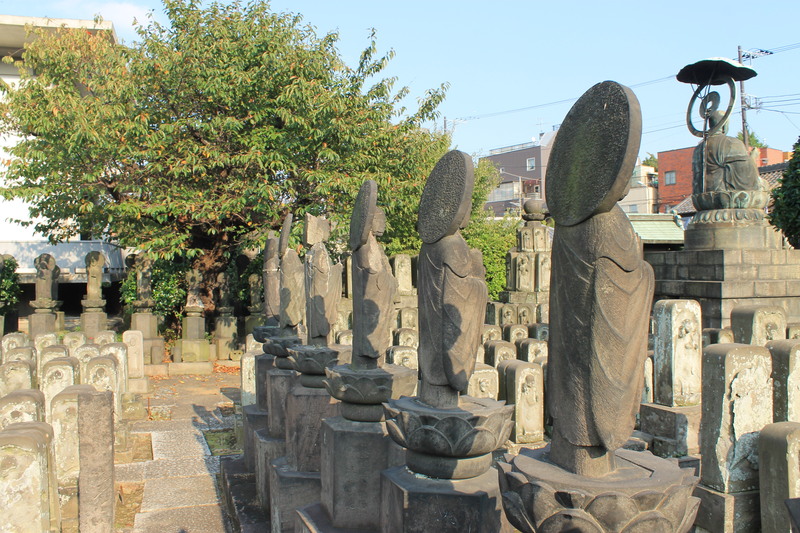 This temple was founded in 1666 and called Joen-in temple. 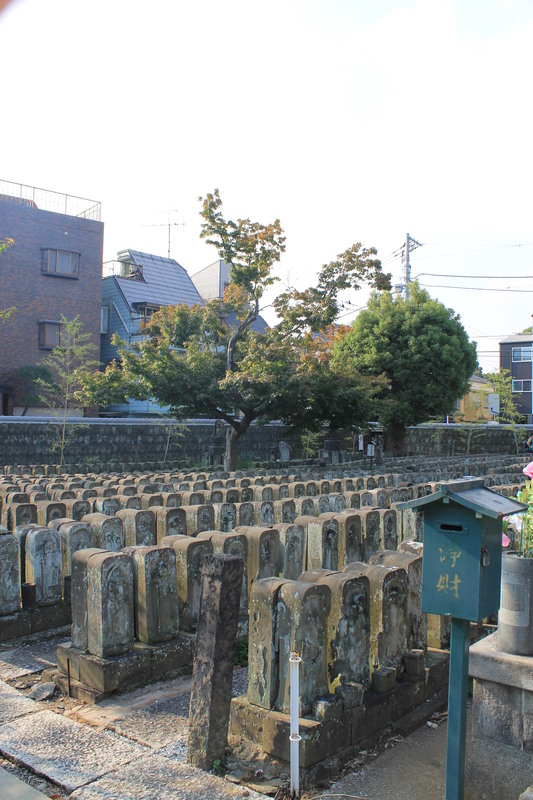 Its present name, Jomyo-in temple was adopted in 1723. The front gate now standing built some time from 1716 to 1735. 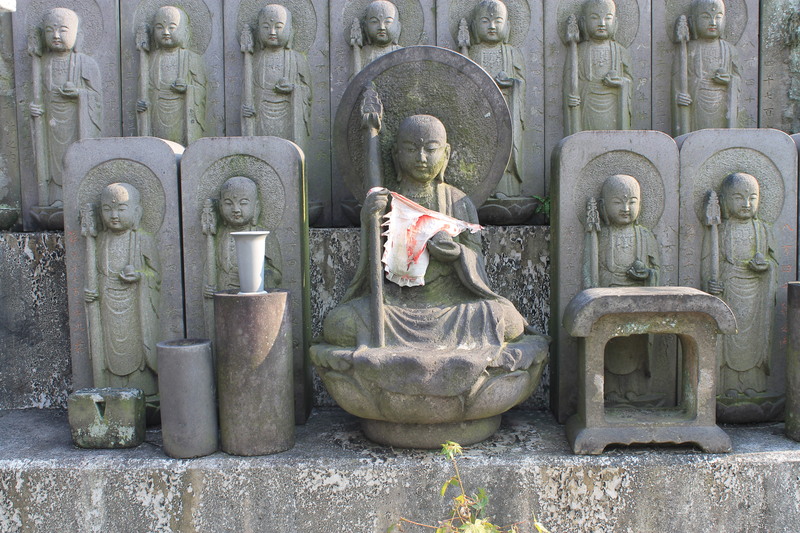 A priest called Myoun, who became the chief priest of this temple in 1876, had faith in the guardian deity of children (Jizo) and decided to erect one thousand stone images of Jizo. After having completed one thousand images, he reset his goal to eighty four thousand images. 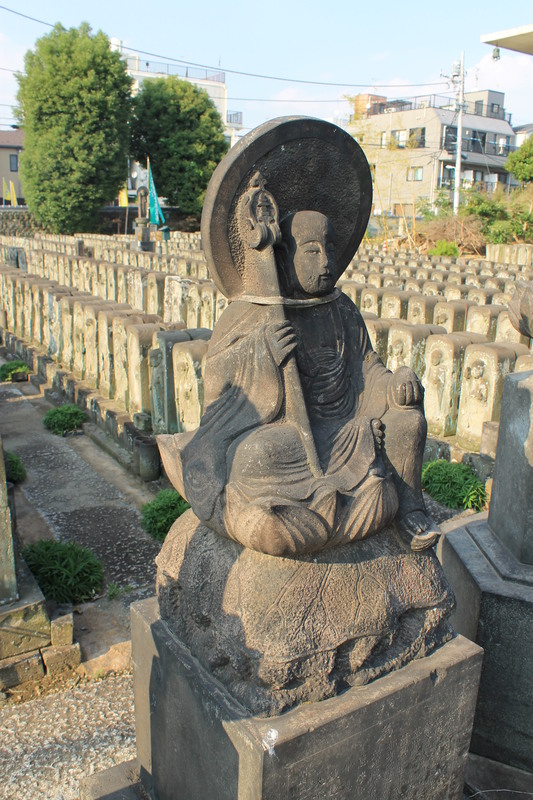 The great bronze image of Jizo in the precincts was built in 1906 in memory of those killed during the Russo-Japanese War. The religious service for Hechima (sponge cucumbers) “Hechima Kuyou” is performed every year on the 15th of August according to the lunar calendar. A lot of people attend because the religious service is said to bring about miraculous cures of illness such as coughing and asthma.